Home / News / Trade of the Day: Will gold continue to glitter? Trade of the Day: Will gold continue to glitter? 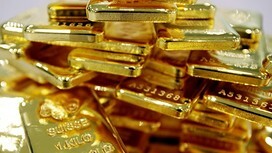 The price of gold hit a six-week high at the beginning of the week. Increased geopolitical tensions, in addition to a weaker dollar helped boost the precious metal to levels not seen since mid-October. Trumps Wild Cards: Time To Buy Gold?